(O’Leary, Falla & Jull., 2011, p.452). Welcome to the blog series on cervical spine motor control. For nearly 20 years there has been a surge in research that has led us to understand more about the role of muscle retraining in rehabilitation of neck pain. As this research mounts we begin to understand more and more about the association between neck pain and motor control dysfunction. Initially, around the early 2000s, there was a lot of research orientated towards identifying and quantifying deficits in the deep cervical neck flexor muscles - longus colli and longus capitus. Since that time, further research has investigated the presence of motor control dysfunction across a range of cervical spine disorders and aimed to determine the best treatment approaches for such deficits. Reduced endurance in the deep neck extensors. Despite the fact that many papers address cervical spine flexor and extensor groups equally, I certainly feel there has been a biased approach clinically and educationally towards retraining of the deep neck flexor muscles. The purpose of this blog therefore, and the next 3, is to review the clinical anatomy of the cervical spine, the assessment of both deep cervical flexors and extensors, discuss the role of sitting posture in neck pain and to present the phases of motor control rehabilitation. Join me on this journey to learn more about how to make the most impact with your motor control rehabilitation for patients with neck pain. What muscles are we referring to? To begin at the beginning - it is important to clearly understand what muscles are being referred to under the topic of cervical spine motor control. When classifying muscles, it can be useful to think of them conceptually as global movers and local stabilisers. Global movers are involved in the generation of torque and produce range of movement. They function in a phasic manner i.e on/off and their movement is dependent on direction. When dysfunctional there is spasm, pain and restricted range of movement. Local stabilisers are the deeper muscles that control segmental control and neutral positioning of a joint. Their activity is tonic rather than phasic and they operate at much lower levels of contraction for long periods of time. Dysfunction in the local muscles results in inhibition of function, delayed timing or recruitment deficiencies and loss of segmental control and neutral joint positioning. 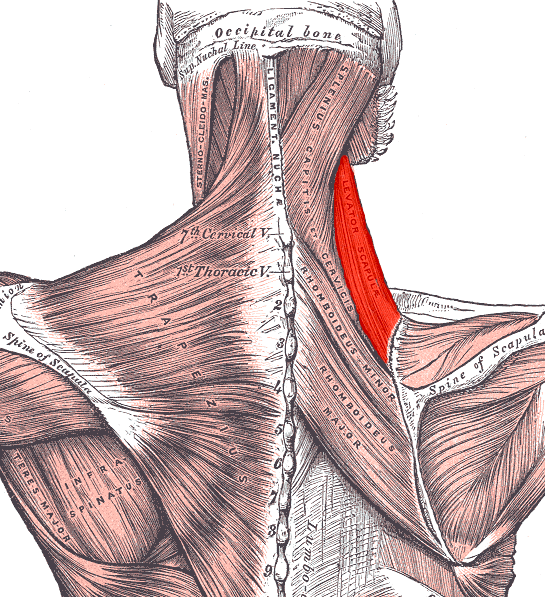 The deep cervical flexors - longus colli and longus capitus. 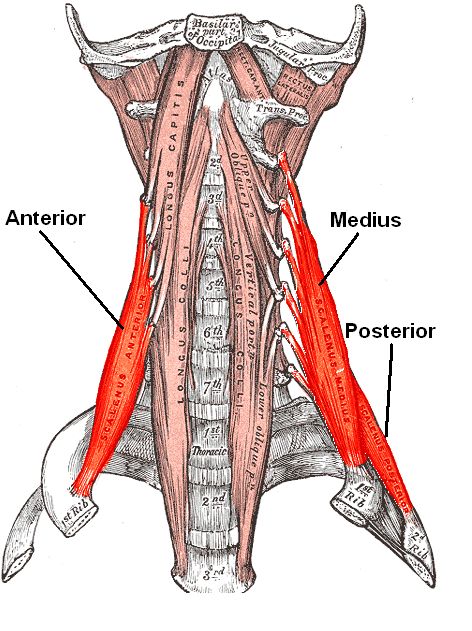 The deep neck extensors - semispinalis cervicis and multifidus. The suboccipital muscles - rectus capitus posterior major & minor, and obliquus capitus superior and inferior. When it comes to talking about cervical motor control I am confident that we are all familiar with deep neck flexors (DNF). The literature often refers to the superficial muscles which become overactive in the presence of neck pain and the deep neck flexors which become dysfunction. It can be easy to continue referring to them as 'superficial' and 'deep' but to make a bigger impact we need to know exactly which muscles are being referred to. Sternocleidomastoid functions bilaterally to create neck flexion and unilaterally to create ipsilateral lateral flexion and contralateral rotation. The SCM is innervated by a spinal root of the accessory nerve (Cleland, 2005). Anterior scalene interestingly functions to elevate the first rib, and similar to SCM it creates ipsilateral lateral flexion and contralateral rotation. The anterior scalene is innervated by C4, C5, and C6 nerve roots (Cleland, 2005). 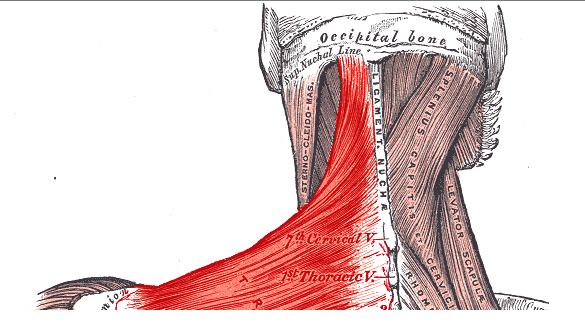 When referring to the deep flexor muscles or deep neck flexors, we are talking about longus colli and longus capitus. P.S. you can't abbreviate these guys because they would both become LC and so they are collectively called deep cervical neck flexors DCNF or DNF. The function of longus colli and longus capitus is to maintain cervical lordosis and provide segmental control (Fall, Bilenkij & Jull., 2004). When active they create cranio-cervical flexion (CCF) and support cervical lordosis anteriorly (Jull, Sterling, Treleavan, Falla & O’Leary., 2008). 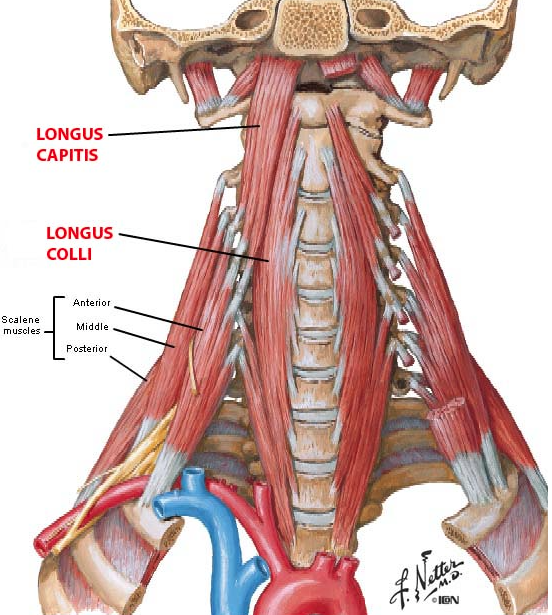 Longus capitus is innervated by C1-3 spinal segments and longus colli from C2-6 (Cleland., 2005). As you can see above, the flexor group consists of SCM, AS and DNF but the extensor group is consists of a lot more muscles. These can be described or conceptualised in layers. From most superficial to deep there are 4 layers of cervical extensor muscles (Schomacher & Falla., 2013, p.360-361). Layer 1: Levator scapulae and upper trapezius which are primarily considered to be muscles of the shoulder girdle and yet form a superficial layer over the cervical extensor group. Upper trapezius is innervated by a spinal root of the accessory nerve and levator scapulae from the dorsal scapula nerve (Cleland., 2005). 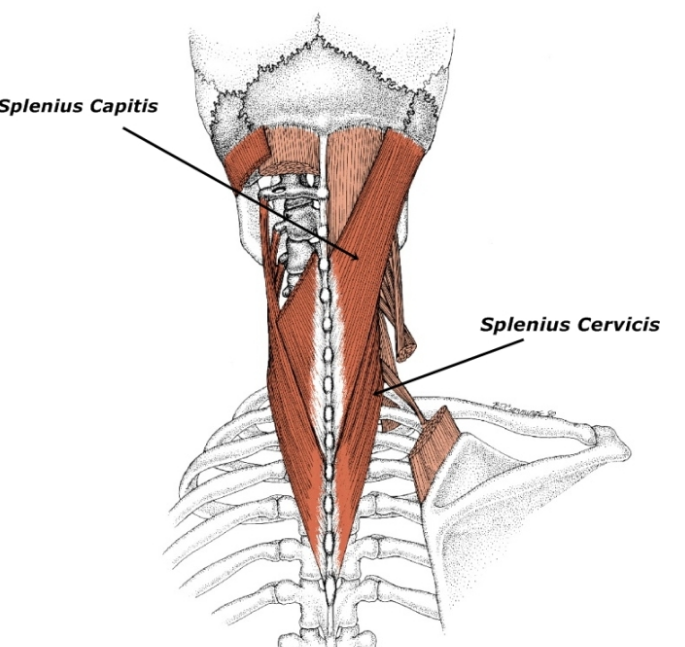 Layer 2: Splenius capitus and cervicis which acts bilaterally as an extensor and ipsilaterally to produce rotation. Splenius capitus and cervicis are innervated by dorsal rami of the middle cervical spinal nerves (Cleland., 2005). Layer 3: Semispinalis capitus is primarily a cervical extensor and unilaterally to create lateral flexion. Both semispinalis capitus and cervicis are innervated by dorsal rami of spinal nerves (Cleland., 2005). Layer 4: Semispinalis cervicis and multifidus. These are collectively known as the transversospinalis group and referred to as our deep cervical extensors (DNE or DCNE). Semispinalis cervicis acts a cervical extender and multifidus as a segmental stabiliser. They provide posterior support of cervical lordosis in synergy with the deep neck flexors and prevent a forward head position (Jull, Sterling, Treleavan, Falla & O’Leary., 2008). These muscles are also innervated by dorsal rami of cervical spinal nerves (Cleland., 2005). These four muscles form the suboccipital muscle group and are assessed and rehabilitated separately to the deep cervical extensors. Rectus capitus posterior major – head extension and ipsilateral rotation. Rectus capitus posterior minor – head extension and ipsilateral rotation. Obliquus capitus superior – head extension and side bending. Obliquus capitus inferior – ipsilateral head-on-neck rotation. The suboccipital muscle group is important to provide proprioception and they have input into the visual and vestibular systems. They control cranio-cervical lordosis and small head-on-neck movements. Dysfunction results in sensorimotor impairment, altered kinaesthetic sense such as reduced balance, joint position sense error, altered oculomotor control and can lead to cervicogenic dizziness. All of these muscles are innervated by the suboccipital nerve C1 (Cleland., 2005). Why we are beginning with the clinical anatomy? I think it is clinically very important to be able to mentally visualise what muscles lie beneath our hands on palpation, their fibre direction and their innervation. Especially when most of these muscles are innervated by dorsal rami of spinal nerves, it seems fitting that articular dysfunction or nerve injury can lead to changes in cervical motor control. Before looking at the assessment for each of these main groups of muscles, it is important to reflect on what the years of research have collected about motor control dysfunction in the cervical spine. So that we can assess motor control with a deeper understanding of what we might expect to find, what normal and abnormal results are and what the clinical relevance of these findings are. What does the research say about motor control dysfunction in the cervical muscles? Research has shown that patients with neck pain will often display reduced muscle activation in the DCNF during the task of craniocervical flexion (CCF) as well as delayed activation during postural pertubations (Schomacher & Faller., 2013). Not only do we notice that patients with neck pain have different levels of control over muscle activation patterns but they also lack endurance (Jull, O’Leary, Falla., 2008, p.529). When reading the literature it is important to remain aware of the patient population that is being investigated. Sometimes the subject group is an asymptomatic population, other times it may be people with chronic mechanical neck pain, whiplash associated disorders (WAD), cervicogenic headache (CGH) and postural neck pain. In regards to WAD, Jull, O’Leary & Falla (2008) found that patients display higher levels of EMG activity in SCM and AS when compared to asymptomatic controls. Other studies have shown a similar pattern, of increased activity in upper trapezius, SCM and AS in patients with chronic neck pain from both insidious and traumatic origin (Falla, Bilenkij & Jull., 2004). What this means is that many of the motor control changes we see are not specific to one patient population. In fact, they are often generic to most causes of neck pain (Fall, Bilenkij & Jull., 2004, p. 1436). There are three major questions that researchers are trying to solve in regards to flexor muscle dysfunction. 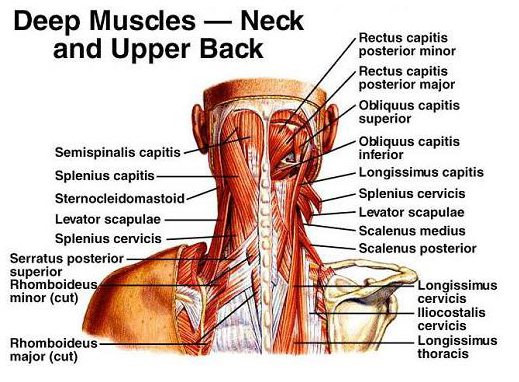 One is whether these deficiencies in deep cervical neck flexor (DCNF) control and increased activation in superficial neck muscles are associated with each other. Is there a cause and effect relationship between the two? The second is if these changes in muscle behaviour occur in other functional positions besides the craniocervical flexion test (CCFT)? The final question is if these muscle activation patterns precede the onset of neck pain or are they occurring after the onset of pain? And if so, how soon after the onset of pain do they develop? One thing that is not clear is if the motor control impairments spontaneously resolve with the recovery of neck pain. Many studies suggest that they don’t and that specific training is required to improve posture, strength and endurance (Jull, O’Leary, Falla., 2008; Jull., 2008; O’Leary, Falla, Ellior & Jull., 2009; Falla., 2004). This concept of spontaneous recovery is clinically very relevant to Physiotherapists because we most commonly treat patients until their pain and range of movement has improved. What this research suggests is that maybe the motor control deficits don’t improve at the same rate as pain? If we don’t make it a priority to assess motor control during the initial treatment sessions, we have no objective measure of whether or not exercises are required. Once pain and movement has resolved, most patients might wrongly assume they have fully recovered and convincing them to perform a home exercise program might be difficult. But, if we document changes in strength, coordination and endurance early in our treatment, have efficient ways to monitor changes in these aspects of recovery, then we can promote more compliance in our patients to complete their rehabilitation. Schomacher & Falla (2013) published a paper in recent times highlighting the importance of the cervical extensor muscles. “Patients with neck pain often display increased activation of the superficial neck extensors and delayed activity in semispinalis cervicis and multifidus” (Schomacher & Faller., 2013, p. 362). Which you could say is similar to the changes observed in the cervical flexor muscle group, where anterior scalene and sternocleidomastoid are observed to have increased activation while there is reduced activation in the deep cervical flexors. Even though the general trend might appear the same between the flexor and extensor group, there are some changes that differ. “When changes in activation patterns occur in semispinalis cervicis it is generalised across all fascicles of the muscle, not just localised to the painful segment” (Schomacher & Faller., 2013, p. 362). 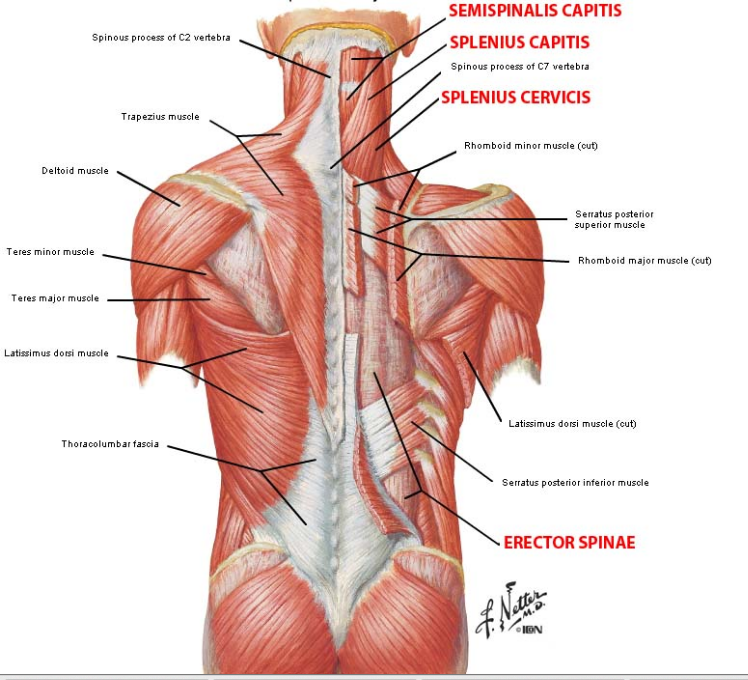 Therefore if semispinalis cervicis is a cervical extender, changes may occur across the entire muscle belly that effects it's ability to control and perform cervical extension across multiple levels. Why these changes occur, in both muscle groups remains unclear and possibly related to a variated of mechanisms (Schomacher & Faller., 2013). None-the-less, changes in both physical property and behaviour of the muscles has been documented in both the extensor muscles ( Schomacher & Faller., 2013) and flexor muscles (Jull, O’Leary, Falla., 2008). These “studies have shown that patients with mechanical neck pain have deficiencies in maximal strength, endurance, precision during dynamic movement, and sustained isometric contraction, efficiency of contraction, and repositioning acuity” (O’Leary, Falla, Elliot & Jull., 2009., p. 327). When we observe changes in DCNF or DCNE control we need to consider that it is hard to determine if these changes precede pain or occur as a result of the pain. We now know that they develop in most cases of neck pain and aren’t specific to one type of injury or pathology. We don’t know how long it takes for the changes to develop but we do know that they don’t spontaneously resolve. This means we need to be responsible for assessing our client’s cervical motor control, monitoring it during their recovery and ensuring that optimal motor control is restored. One factor that does predict higher levels of muscle dysfunction is a greater level of perceived disability (Fall, Bilenkij & Jull., 2004) and pain intensity (O’Leary, Falla & Jull., 2011). Just as the classification of neck pain doesn’t alter motor control deficits, neither does gender, pain sensitivity or duration of pain. My challenge to you this week is to have a new mindset when palpating or assessing a patient with neck pain. Before we learn how to perform the tests, first think about what muscles lie beneath the region you are palpating, which nerves innervate them, and what movements these muscles contribute to. Zoom in a little deeper into the details of how much goes on in the cervical spine. With the quote below and the supporting evidence listed here, we move onto the second blog looking at what this assessment involves. “Sufficient evidence already exists to indicate that assessment of cervical muscle function should be routine in the clinical examination of patients with mechanical neck pain” (O’Leary, Falla, Elliot & Jull., 2009., p. 327). Beer, A., Treleaven, J., & Jull, G. (2012). Can a functional postural exercise improve performance in the cranio-cervical flexion test? –A preliminary study. Manual therapy, 17(3), 219-224. Caneiro, J. P., O'Sullivan, P., Burnett, A., Barach, A., O'Neil, D., Tveit, O., & Olafsdottir, K. (2010). The influence of different sitting postures on head/neck posture and muscle activity. Manual therapy, 15(1), 54-60. Cleland, J. (2005). Orthopaedic clinical examination: an evidence-based approach for physical therapists. WB Saunders Co.
Edmondston, S., Björnsdóttir, G., Pálsson, T., Solgård, H., Ussing, K., & Allison, G. (2011). Endurance and fatigue characteristics of the neck flexor and extensor muscles during isometric tests in patients with postural neck pain. Manual Therapy, 16(4), 332-338. Falla, D. (2004). Unravelling the complexity of muscle impairment in chronic neck pain. Manual therapy, 9(3), 125-133. Falla, D., Bilenkij, G., & Jull, G. (2004). Patients with chronic neck pain demonstrate altered patterns of muscle activation during performance of a functional upper limb task. Spine, 29(13), 1436-1440. Falla, D., Jull, G., O’leary, S., & Dall’Alba, P. (2006). Further evaluation of an EMG technique for assessment of the deep cervical flexor muscles. Journal of Electromyography and Kinesiology, 16(6), 621-628. Jull, G. (2008). Whiplash, headache, and neck pain: research-based directions for physical therapies. Elsevier Health Sciences. Jull, G. A., O'Leary, S. P., & Falla, D. L. (2008). 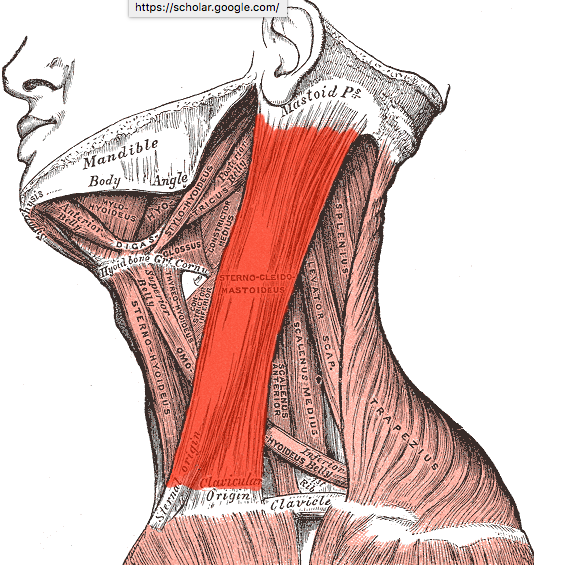 Clinical assessment of the deep cervical flexor muscles: the craniocervical flexion test. Journal of manipulative and physiological therapeutics, 31(7), 525-533. O'Leary, S., Falla, D., Elliott, J. M., & Jull, G. (2009). 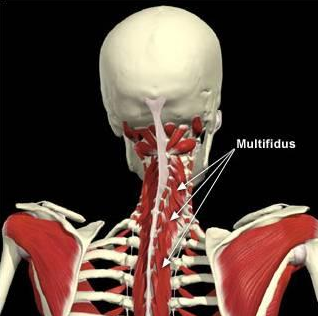 Muscle dysfunction in cervical spine pain: implications for assessment and management. journal of orthopaedic & sports physical therapy, 39(5), 324-333. O’Leary, S., Falla, D., & Jull, G. (2011). The relationship between superficial muscle activity during the cranio-cervical flexion test and clinical features in patients with chronic neck pain. Manual therapy, 16(5), 452-455. Schomacher, J., & Falla, D. (2013). Function and structure of the deep cervical extensor muscles in patients with neck pain. Manual therapy, 18(5), 360-366. SELVARATNAM, Peter, et al. Headache, orofacial pain and bruxism. 2009. Szeto, G. P., Straker, L., & Raine, S. (2002). A field comparison of neck and shoulder postures in symptomatic and asymptomatic office workers. Applied ergonomics, 33(1), 75-84. VAN ETTEKOVEN, H.; LUCAS, C. Efficacy of physiotherapy including a craniocervical training programme for tension‐type headache; a randomized clinical trial. Cephalalgia, 2006, vol. 26, no 8, p. 983-991.